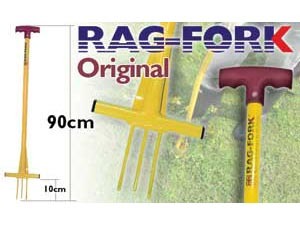 Specifically developed to remove ragwort and other paddock weeds quickly and easily, without the use of chemicals. It removes the whole plant including the roots, reducing the possibility of re-growth. Compact and easy to carry around the field. T handle. Height: 90cm. There are currently no questions for Eazitools Rag-Fork - be the first to ask one!